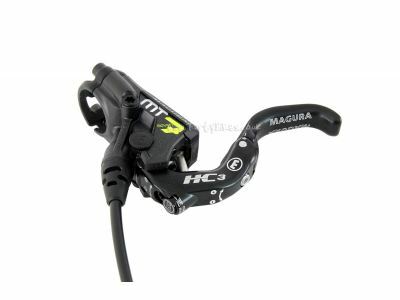 - The super popular, extremely powerful Magura MT7 brakes, now with HC3 Blade as standard. - All-new aluminium HC3 lever blade features independent mechanical leverage ratio adjustment and reach adjustment dials. - Unique reach adjustment sees just the tip section of the blade move, to allow you to get the lever blade to your desired position without affecting the leverage ratio or bite point of the brake. - Mechanical leverage ratio adjustment is adjusted by using an adjuster screw that moves the position of the pushrod relative to the pivot point of the lever, similar in principle to Avid's Speel Dial system. - The rear of the blade features smoothed off edges to reduce any painful knuckle interactions! 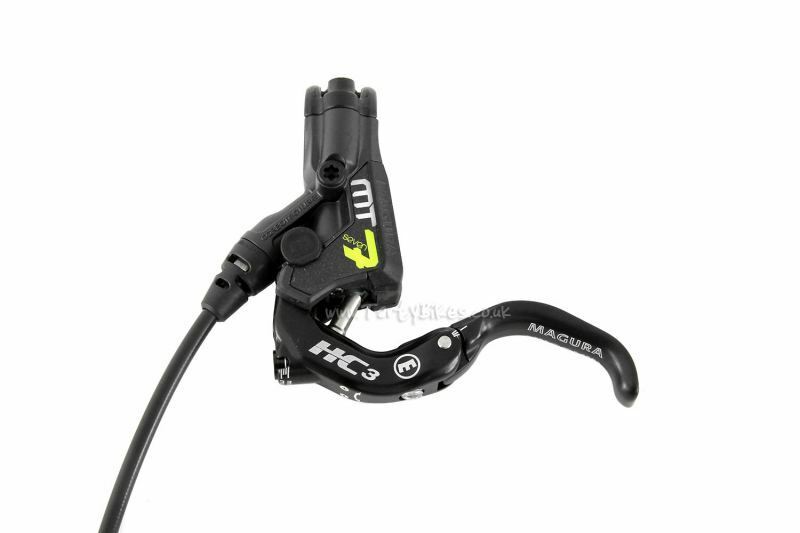 - Carbotecture lever body construction - as featured on the rest of Magura's MT-series disc brakes - helps keep weight low. 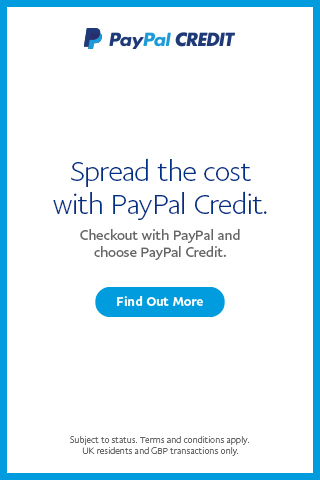 - Lever has a flip-flop design and can be used with either hand. 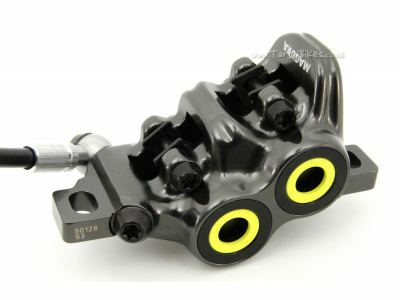 - Super powerful 4-piston caliper is the same tried-and-tested caliper found on the MT7 brakes. 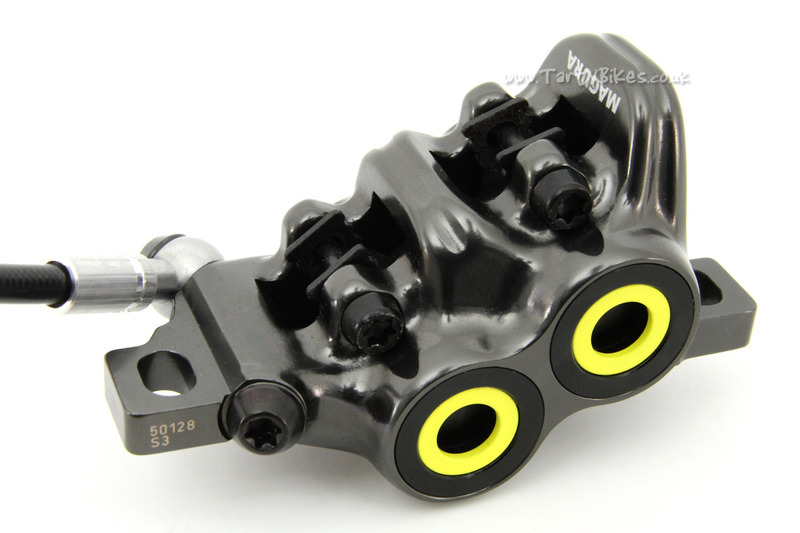 - Forged aluminium caliper means there is only material where it is needed, resulting in an impressively light brake considering its power. 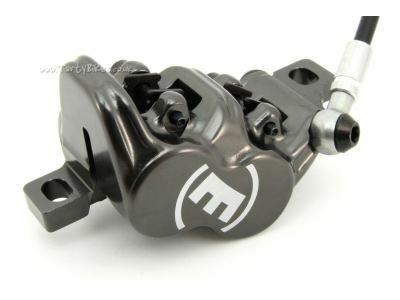 - Post Mount caliper style makes setting up the brake easy, and is compatible with both Magura and Hope Post Mount caliper to IS mount frame/fork adaptors. 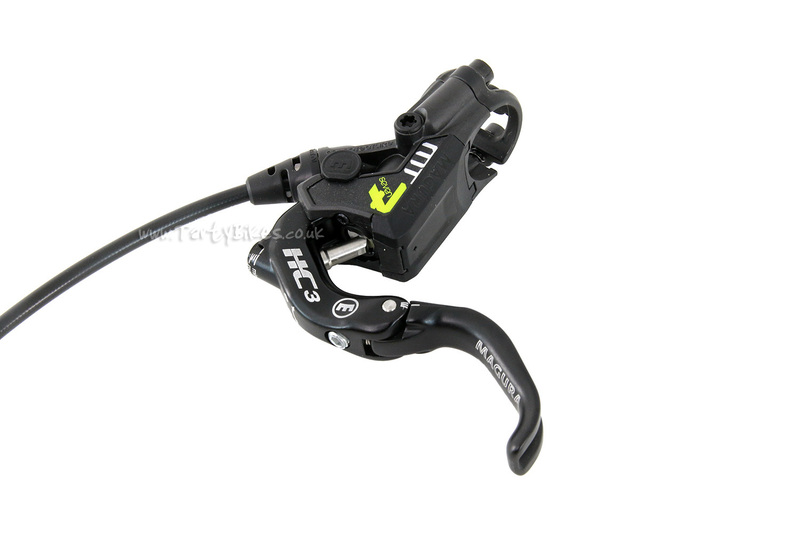 - Kevlar reinforced hose attaches to caliper with a banjo bolt, making it easy to tuck the hose as out-the-way as possible on the bike. - Available with either 86cm brake hose (suitable for front brakes) or 141cm brake hose (suitable for rear brakes). 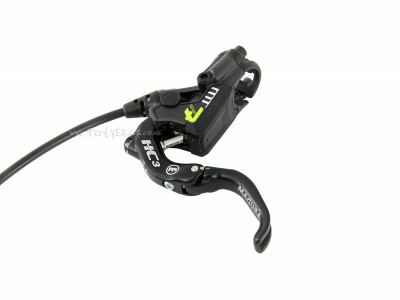 - NOT supplied with rotor and adaptor. We have made a disc brake guidance and information sheet which will be very useful if you are not experienced with disc brakes (or even if you are!). 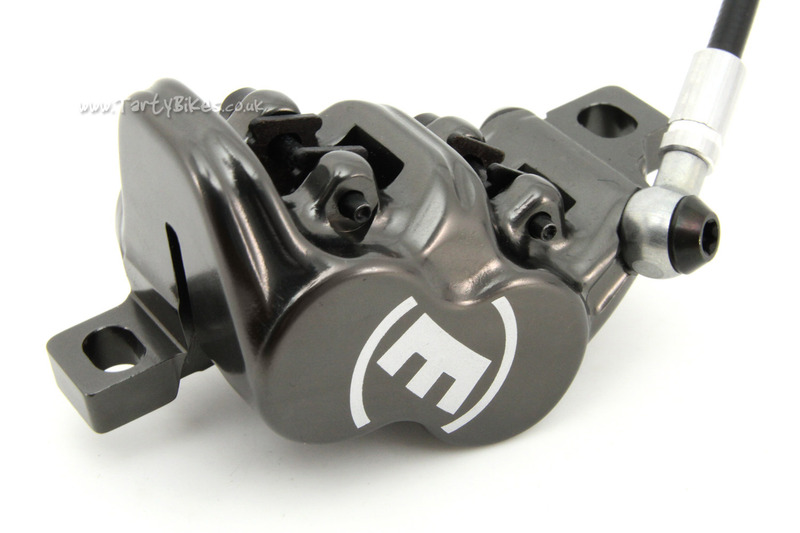 We strongly recommend having a look over it before fitting your new brake. 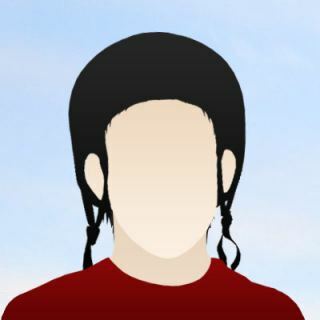 This can be downloaded here. Please note: Damage caused to the brake by impacts either through the lever or directly to the lever body will not be covered under warranty. This includes breaking the lever blade, or causing damage to the lever pivot area.